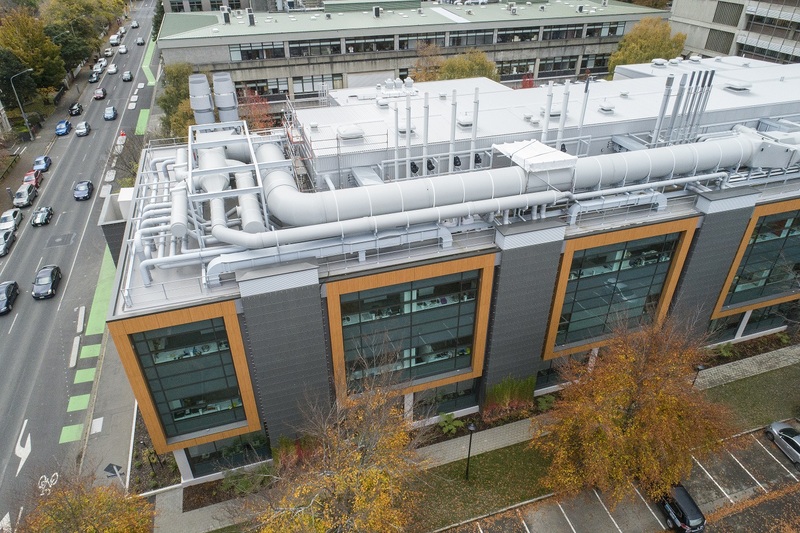 The 56 million dollar Science precinct upgrade by the University of Otago redeveloped the ageing Science Block buildings into research facilities which are of the highest international standing. 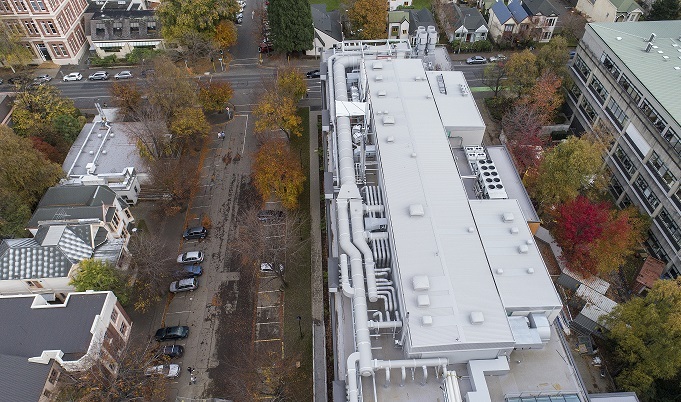 The existing building had a zero degree concrete slab roofwith a leaking bitumous membrane. Weight concerns and significant plant and ventilation requirements meant the options were limited as to which system to install. Enviroclad membrane is installed as the waterproofing layer over the top of the insulation. Enviroclad was selected due to the systems ability to successfully and robustly terminate over 200 penetrations from 50mm in diameter to over a metre square.